What does "hobby horse" mean? The phrase refers to "a subject that someone speaks about or complains about often." I wouldn't have bothered looking it up or defining it except that when I wrote it, I realized that I hadn't heard anyone say it in decades, and don't recall seeing it in writing for just as long. Perhaps it fell out of use, and my steel-sieve mind somehow retained it from my remote youth. Perhaps the current, psychobabble term, is "obsession." I plead guilty to having whichever one you feel more appropriate. One is the future of electric energy and, in particular, solar power. (If you've come to this blog by way of the PriUPS web site, here's a small bonus item I haven't yet integrated into the site. I'm now able to charge my plug-in Prius from solar power.) 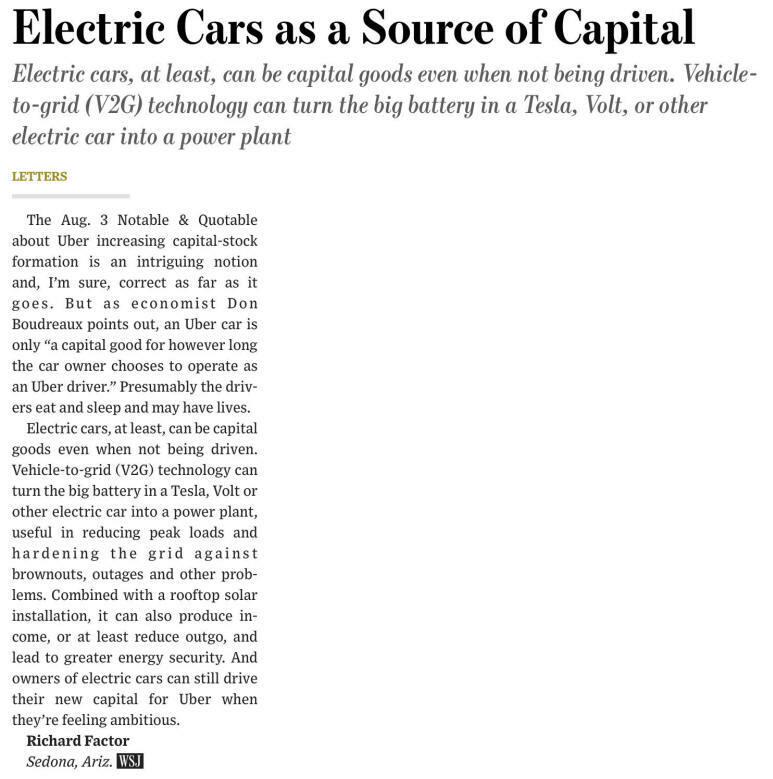 My hobby horse has been manifesting itself to the outside world by my relentless albeit infrequent belaboring the Wall Street Journal with letters every time there's an article either about electric cars or about solar power. 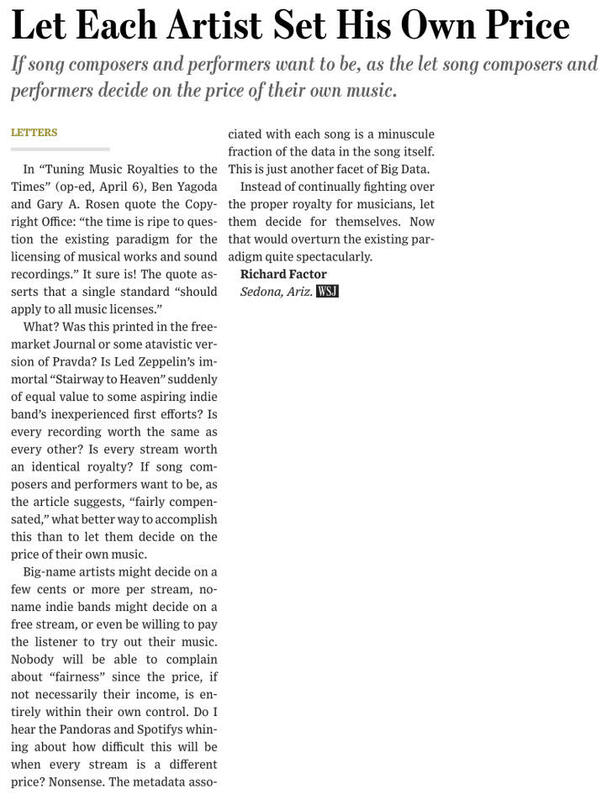 These letters promote my point of view, often in contradiction to that of the Journal article they reference. More people will find "rooftop solar" economical and install their own systems, which will also grow in capacity as they grow cheaper. Solar power will eventually be cheap enough to provide all the kilowatt-hours that a household needs for all purposes. Resulting in electric utility-grid connections being optional, much as homes now may have sewer connections or septic systems, city water or wells. Because the utilities have to support these grid connections for existing customers, those who drop off the grid will raise the cost for those who don't, raising electric bills to the extent that even more customers drop off. How long before this positive feedback becomes problematic for utilities? 1 year? Ten? Well actually, zero, since it's happening already, albeit in a small way. How long before it accelerates and becomes more than a niche issue in California, Arizona, and other sunny states? As a non-prophet blogger, I won't guess. Other than "sooner than you think." Practicing, as always, conservation of text, I reproduce below two of the letters I sent to the Journal that they saw fit to print. The second may not seem entirely coherent; it was probably too long as written and an important paragraph was edited out. The letter by Richard McDonald is also interesting. 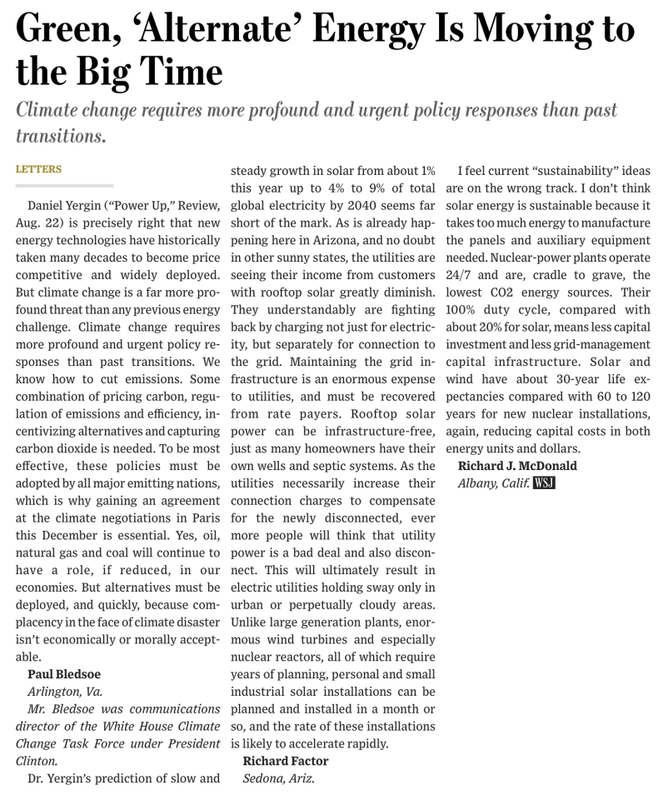 I'm very fond of nuclei but I disagree with McDonald on a number of issues, in particular the "non-sustainability" theory he espouses with regard to solar. Perhaps, now that we're letter-column buddies, we can have a debate. I'll let you know when we've booked the auditorium. Unlike my preceding thoughts on solar power, I think this scheme is doomed to failure. Despite its compelling logic, and despite having been touted previously in blog and print, I have no evidence that anyone, anywhere, thinks it's a good idea or at all workable. Who says obsessions have to make sense? 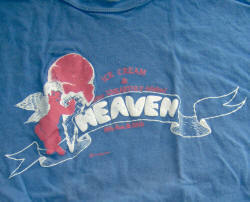 Heaven was an ice cream parlor on 9th Avenue between 54th and 55th street in Manhattan. I used to frequent (and I do mean frequent) Heaven in the '70s.